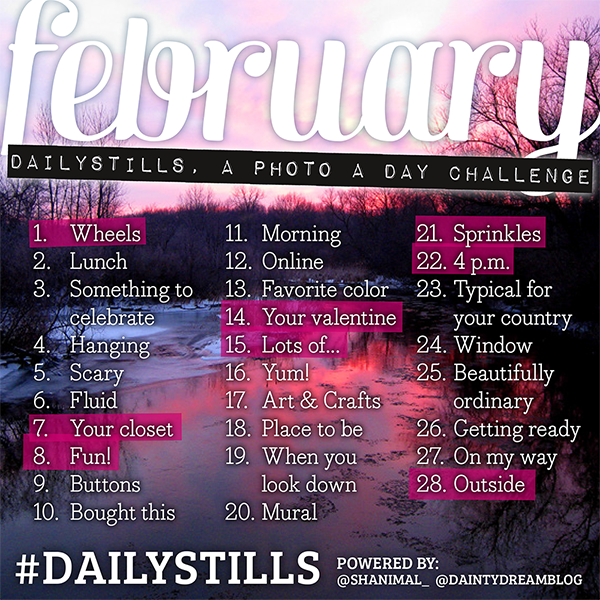 January is almost over, so it's time to share the Dailystills list with photo prompts for February. I'm looking forward to working with this list, it's gonna be so much fun! Are you joining us in February? Let us know on Instagram :) My IG account: @daintydreamblog and Shannon: @shanimal_. You're allowed to save this photo and share it on Instagram too, enjoy!